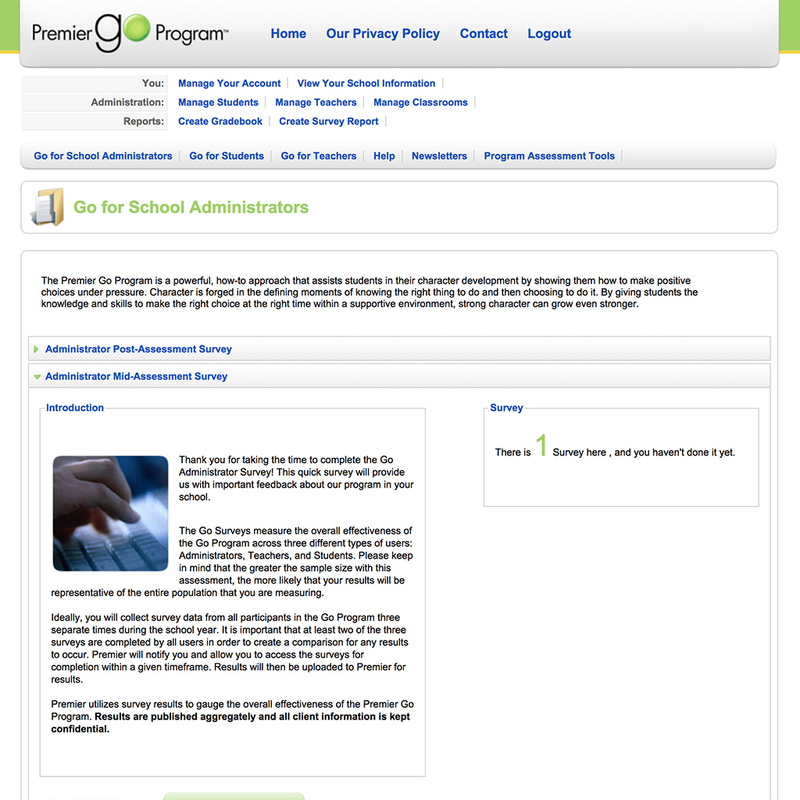 Premier Agendas Ltd. is a student success and education services company located in Langley BC. It is specialized in developing customized school agendas and character development programs to help K12 and College students plan, organize and set goals for academic success. Premier serves thousands of schools throughout US and Canada. This project was a Learning Management System (LMS) developed for online delivery of educational content to all the schools who are Premier’s clients. 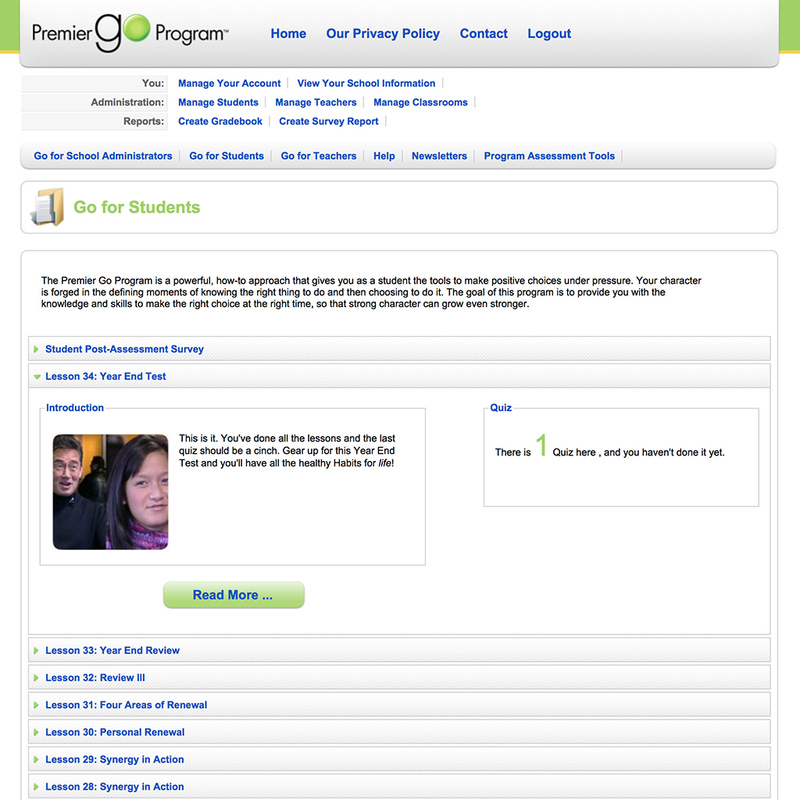 Premier Go and Premier Get Set are two student character development programs that are currently using LMS 2.0. 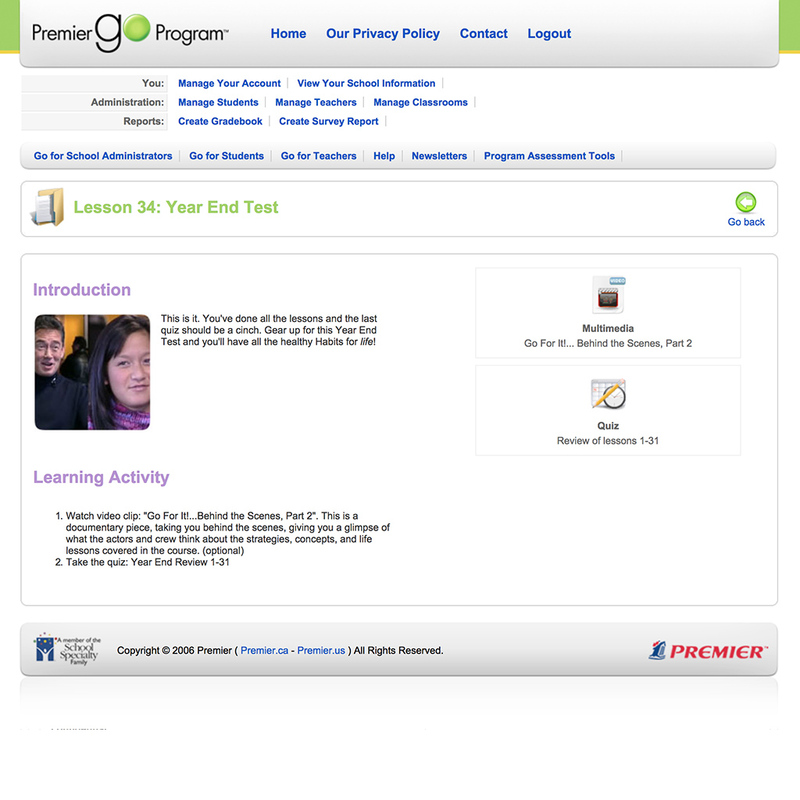 This is the second customized LMS web application developed for Premier Ltd. Using this web application, Teachers and School Administrators are able to enroll their students in virtual classrooms where they are engaged in a set of online learning activities. In these lessons students watch videos, then they are quizzed. The result of their grades can be viewed instantly by their teacher using an online Grade-Book. In order to study the improvement in the students’ behavior and attitude, online Surveys are conducted before, during, and after students have participated in these programs. 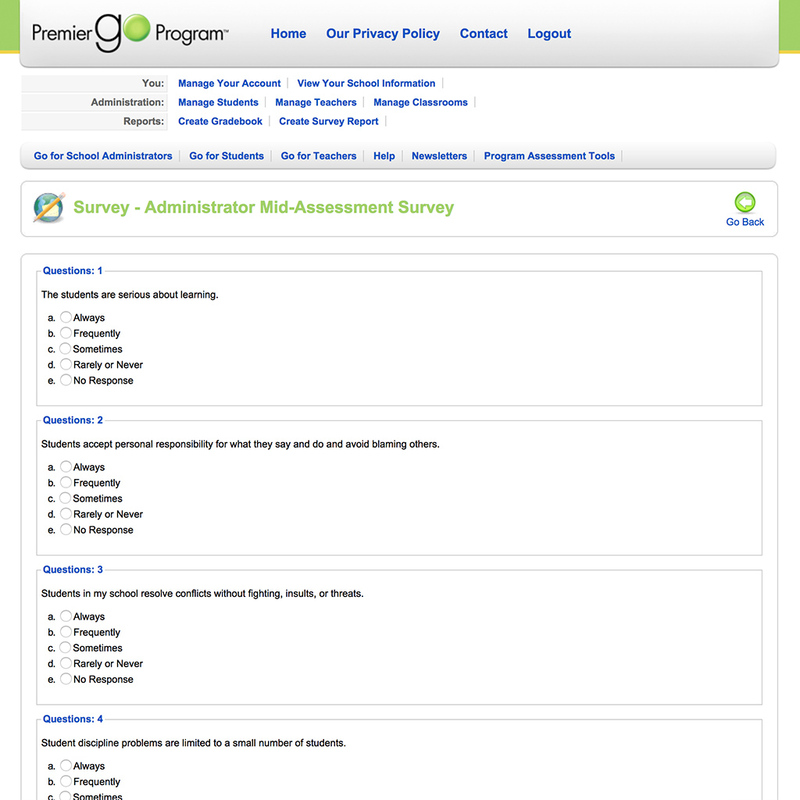 Then the survey results are aggregated and displayed as graphical and numerical reports viewable by teachers, and administrators. This has enormous value to Premier and its clients, because conducting large scale surveys and generating instant aggregated results using conventional methods could become very expensive, time consuming, and perhaps impossible. Reusability: Premier can focus on building additional educational programs and use PLU 2.0 to deliver them to schools through the internet. 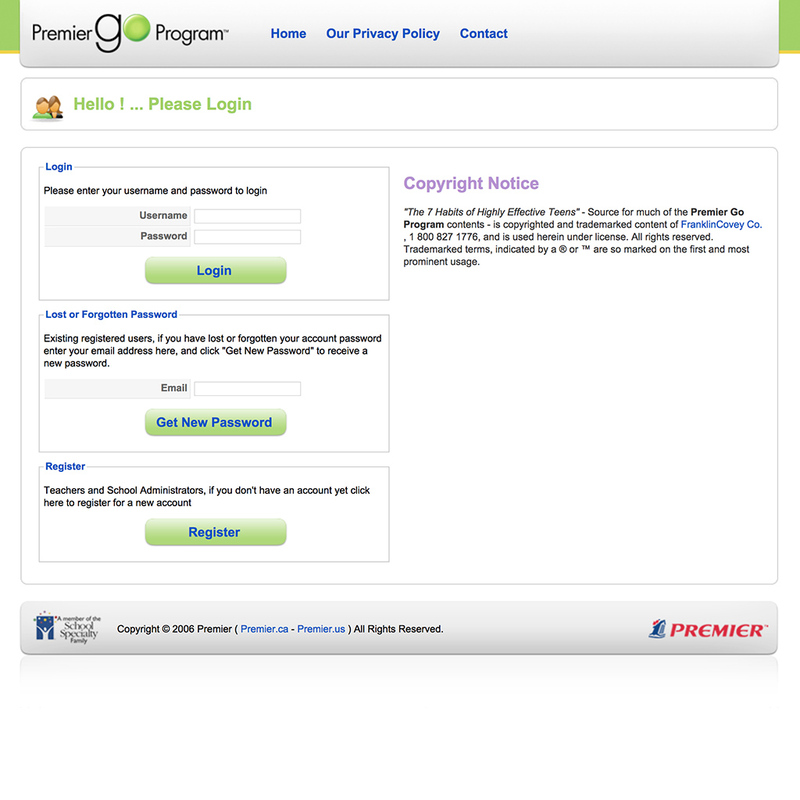 Design Template Management: using the template management feature Premier can customize the look and feel of each online program to have a unique branding identity. User Management, Access Control List (ACL): teachers can only administer the students in one of their virtual classrooms. School administers have a lot more power, but only at the school level. 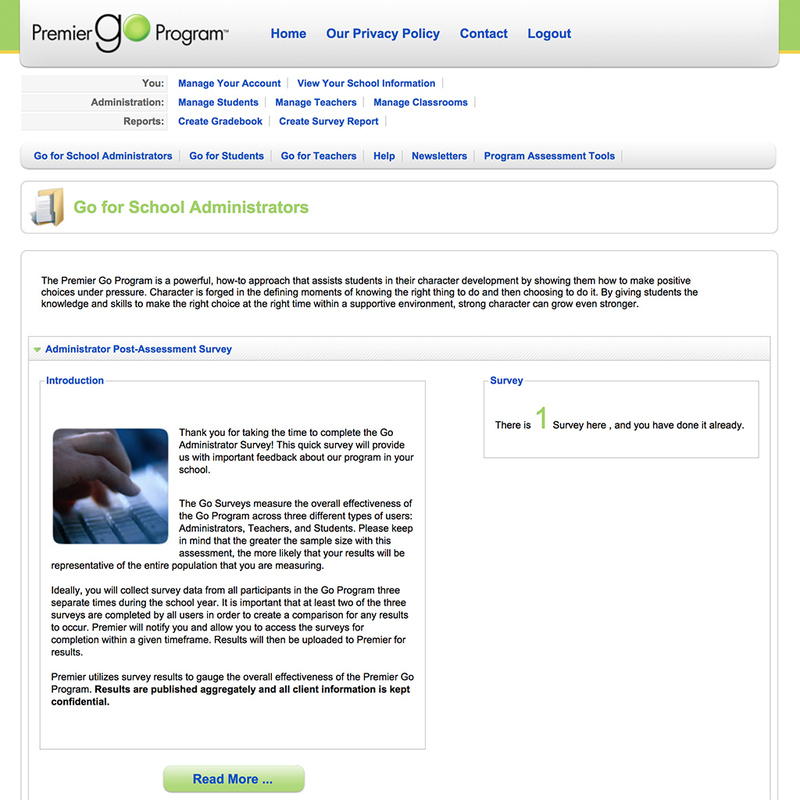 Premier Technical and Support staff have complete administrative power over every registered school within the system. Flexible and Easy to maintain Software Architecture: PLU 2.0 has a Model View Control (MVC) software architecture which enables developers to have a easier time maintaining the application. This application can also be customized and specialized further to suit Premier’s future business needs.